Which way for Visitor Info in Silverdale? The in basket: Markey Dokken sent a photo of apparently conflicting directions provided by a pair of signs in Silverdale. “When we travel,” Markey said, “we count on the Visitor Center signs hoping that the centers will be easy to find. Here in Silverdale, it makes me wonder. Note the arrows on the signs below on Silverdale Way near the YMCA. The out basket: Jeff Shea, county transportation engineer, says, “The problem here is that there are two sources for visitor’s information near this location. 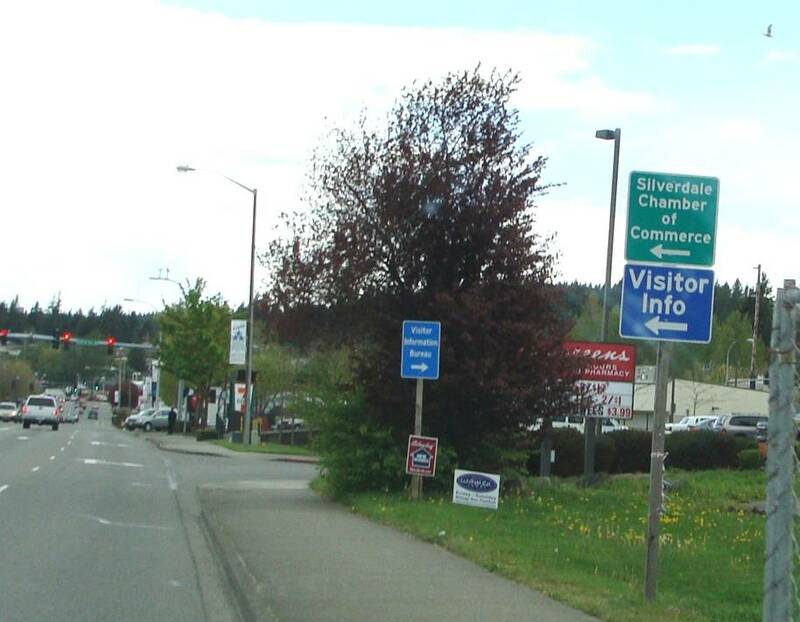 “Both the Silverdale Chamber of Commerce and the Visitor’s Bureau provide visitor information and are located in the same proximity. That’s the reason these signs appear to direct motorists in two different directions to get to the same place.